If you do the same routine over and over—or play the same sport, or take the same class every week--your muscles will quickly adapt and you’ll hit a plateau, with each workout becoming less and less effective. However, if you challenge your muscles by adding or alternating exercise routines and movements periodically (think every 4-6 weeks), you'll get significantly more fibers into the act and develop more tone and strength. Your cardiovascular system will also benefit and improve as it adapts to the new routine. If you don't rest enough between hard cardio or strength workouts, you'll stop making progress and may even lose some of the muscle tone you've gained. You're also likely to burn out on exercise! Overtraining is serious—and can lead to serious consequences for your body. Taking some time off, resetting your intentions, and letting your body heal may be the best way to break a plateau. Sticking with the same aerobic workout (see #1) can sabotage your results just as much as pushing too hard. To truly boost your fitness (which enables you to burn more calories with less effort), you’ll need to venture outside your comfort zone a couple of times a week. Interval training and HIIT are two great ways to get out of your cardio rut. When you use momentum instead of muscle power, you don’t stimulate the muscles properly. You'll also be more susceptible to injuries. Slow it down, feel the burn and work through the entire range of motion. You’ll reap the benefits and get much more work out of lighter weight. If you don’t lift weights at all, you could be selling your body short. Weight training will give you improvements in strength, tone and bone density. Cardio exercise is only part of the health equation. Add resistance training into your routine and you’ll instantly see positive changes, both in your body strength and in your cardio. 6. You are chronically dehydrated. Being chronically dehydrated leads to reduced endurance and results in increased body temperature, heart rate and perceived exertion. Dehydration also impedes your recovery. Bottom line: If you’re even slightly dehydrated, your workouts will suffer and you won’t progress. Don’t wait until you’re thirsty. Make sure you drink plenty of water a few hours before each workout and on your rest days. Looking to make a change or get out of your fitness rut?  PPT trainers are experts, who will help you take your workout to the next level. Contact us today.